Root canal treatment (also called endodontics) is needed when the blood or nerve supply of the tooth (known as the pulp) is infected through decay or injury. You may not feel any pain in the early stages of the infection. In some cases, your tooth could darken in colour which may mean that the nerve of the tooth has died (or is dying). This would need root canal treatment. If the pulp becomes infected, the infection may spread through the root canal system of the tooth. This may eventually lead to an abscess. An abscess is an inflamed area in which pus collects and can cause swelling of the tissues around the tooth. The symptoms of an abscess can range from dull ache to severe pain and the tooth may be tender when you bite. If root canal treatment (RCT) is not carried out, the infection will spread and the tooth may need to be taken out. The aim of the treatment is to remove all infection from the root canal. The root is then cleaned and filled to prevent any further infection. Root canal treatment is a skilled and time-consuming procedure. Most courses of treatment will involve two or more visits to your dentist.At the first appointment, the infected pulp is removed. Any abscesses, which may be present, can also be drained at this time. The root canal is then cleaned and shaped ready for the filling. A temporary filling is put in and the tooth is left to settle. Root canal treatment is usually very successful. However, if the infection comes back the treatment can be repeated. 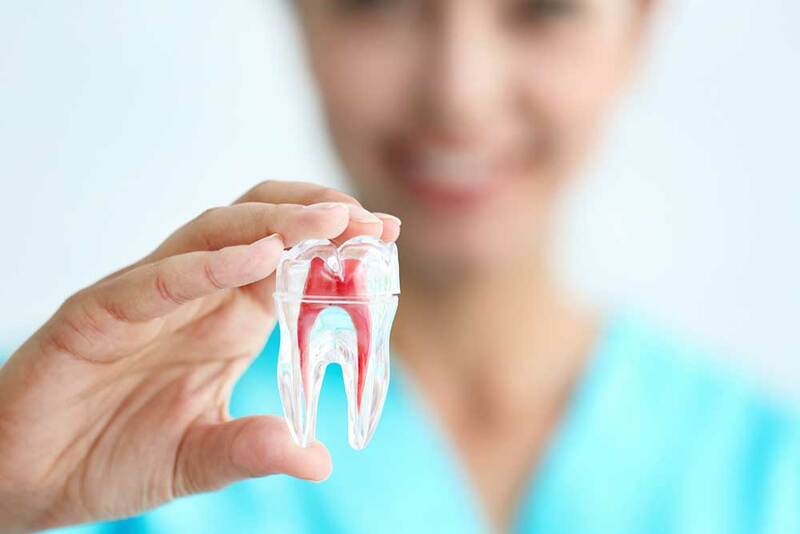 Occasionally, if inflammation persists at the tip of the root, surgery can be carried out to remove part of the root, clean the area and put in a filling. This is known as an ‘apicectomy’.